After President Trump’s announcement of withdrawal of U.S. troops from Syria, an unprecedented military activity has been seen in Kurdish-held city Manbij in northern Syria. Kurdish People’s Protection Unit (YPG) made calls to Syrian regime to deter a Turkish military offensive in the area. Upon Kurdish fighters request, Syrian Army amassed outskirts of Manbij, but has not entered the city yet, according to U.S. military sources who have spoken to Reuters, and other western news outlets. On the other hand, both Syrian Army and then, a day later, Kremlin spokesman Dmitriy Peskov confirmed that the Syrian government’s forces had taken control of the city, Russian Sputnik reported. On Friday, “Considering the obligation of the army to respond to the call by the people of Manbij, the General Staff declares that the army has entered Manbij and raised the flag of the Syrian Arab Republic there”, the army’s statement was cited by the Syrian state broadcaster. 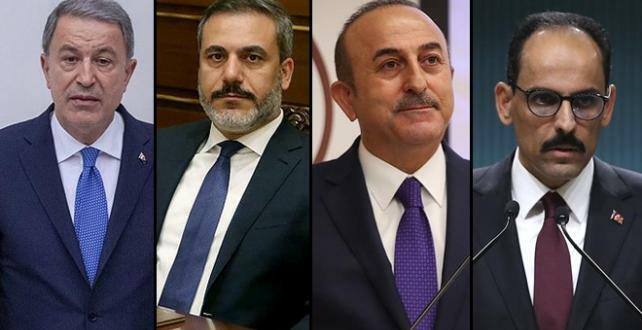 A group of Turkey’s top officials; the foreign minister, the defense minister, Erdogan’s spokesman and the chief of intelligence, met with their Russian counterparts in Moscow on Saturday. The meeting had lasted almost one and a half hour, and Manbij was the hot debate of the meeting. The high-level talks between Russia and Turkey on Syria were useful, Russian Foreign Minister Sergey Lavrov said after the meeting, Russian Tass reported. “We held a very useful meeting of our interdepartmental team: the foreign and defense ministers and the intelligence services’ chiefs,” he said. “Both sides stressed that all further steps considered to be implemented would be carried out in strict compliance with UN Security Council Resolution 2254, including unconditional respect for the sovereignty and territorial integrity of Syria”, the Russian diplomat stated. Ahead of the meeting both Russian and Turkish foreign ministers declared that they will discuss the Manbij issue in details and try to seek a solution on all sides’ interests. Meanwhile, Turkey has deployed 50 tanks to border with Syria in order to raise its military presence in the region, Haberturk news channel reported on Saturday.